Libby Webb discusses how ZappRx is leveraging technology to simplify and automate the way specialty drugs get to patients. Libby is the Senior Vice President, Product of ZappRx, a digital health company offering a prescription and prior authorization platform. 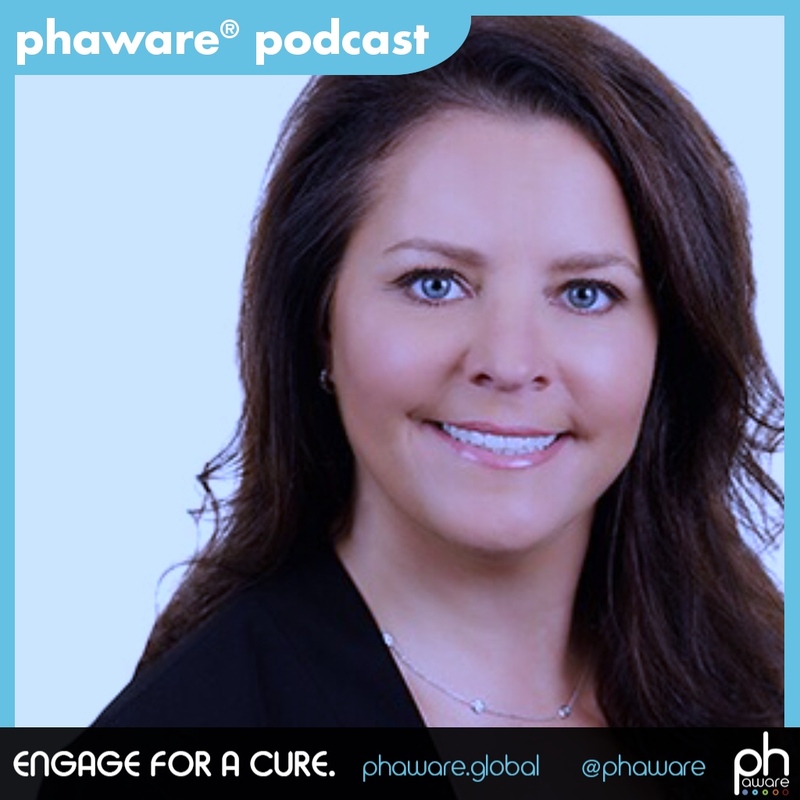 In this episode Libby discusses how ZappRx is leveraging technology to simplify and automate the way specialty drugs get to patients. I'm Libby Webb. I'm the SVP of product at ZappRx and I am responsible for our product strategy, our product management, product development, really making sure that everything that we do here at ZappRx brings customer delight, and more importantly, improves the speed to therapy for specialty drugs for our patients. The company was founded with the notion that the process that clinicians go through in order to prescribe specialty drugs is arduous, burdensome, paper-laden, fax-driven, and more or less a form of burnout for providers, and more importantly, a very slow process for getting critical drugs to the patients that need them. So that was really the impetus for the foundation of the organization. We are currently, and have been live, in the pulmonology space for a few years now. We launched in 2015. What we really are focused on is transforming the process that occurs today, 95+% of the time requires a prior authorization from a payer as well as the submission of the prescription or enrollment either to a hub or to a specialty pharmacy. We help facilitate that entire process within our platform. To give a little bit of context of why this is such a challenge, depending upon the size of a practice, and I use the term practice somewhat neutrally or generically, whether we're talking about an independent practice, a community health center or a large health system, an academic medical center, etc. A typical RN could be looking at submitting anywhere from a few to a dozen prior authorization any given day. Each of those forms takes up a few pages, but when you really dig in and look closer at what a prior authorization entails, there could be 30 to 50 fields that a nurse practitioner ends up filling in. The challenge is that, first of all, if anyone has filled out a paper form recently, you alone understand the pain, but imagine having to do that numerous times a day across forms that typically are very redundant and tend to be error prone. So, if you're filling in a paper form, it's really to accidentally fill in information in a field where it should go otherwise, or you accidentally miss fields that are required to obtain that prior authorization. So our platform makes sure that we have a very high, what we call a first pass rate. As soon as we are able to submit the prior authorization to the payer, we want to see a 99% pass rate the first time it's submitted. That's our lofty goal that we're moving towards, and we're currently at 94% approval rate today. We make that process so much easier for clinicians or providers and prescribers who are using our platform because we save all of the information for a patient. They have a clinical profile with us, so any time a drug needs to be obtained, all of that information is automatically populated, whether it's for the prior authorization or for the prescription. Over the course of time, we're able to learn more and more about what different payers require in prior authorizations because it's not the same across all payers. It varies, so what we're learning is for payer XYZ in state XYZ, they may require that for a patient with pulmonary arterial hypertension that the WHO group classification is submitted as well as the New York Heart Association functional classification is submitted. What we've recently noticed is that occasionally prescribers accidentally, or maybe just for other reasons that I'm not quite sure of, aren't completing that information, so we've realized that's a rule of requirement that we need to build into our platform to make sure that that prior authorization goes in and submitted cleanly so we can make sure those fields are required. Certainly not something you can do on a paper form. That just gives you a little bit of a illustrative example of how ZappRx is able to uniquely help improve not only the speed of the prior authorization but endeavoring to have it be approved at that very first pass. What happens today is that typically a patient is diagnosed. After that diagnosis occurs, some of our practices, they're making a decision that day as to which therapy they want that patient on. So while that patient is in clinic, they are working with the provider, the provider may even explain to them a bit about the drug that they have selected, things they should be aware of once the drug is received by the patient, what side effects they might experience in that first month, what's to be thinking about in terms of drug interactions, helping them really understand what they should expect. What they don't typically expect is that it's not going to arrive the next day or the day after because these are not drugs that you drive over to your retail pharmacy to pick up. They're coming from a specialty pharmacy. So one of the very first things that occurs, and for some of these drugs there's additional patient consent that needs to be obtained, and that patient consent is typically something that is desired to be obtained while the patient is still in the office, but because there are cases when the patient has left the office and either they inadvertently didn't capture the signature or the patient forgot to complete the paperwork while they were there, or simply the actual therapy was not selected until after the patient had left the office, there's an opportunity for technology to be able to solve that problem and make sure that the speed to therapy is as fast as possible. So one of the things that we've recently done is introduced a way for providers to use a mobile optimized version of our solution, so no matter where they are, in their clinic or even in an in-patient setting, they can use a mobile optimized version of our solution to capture patient consent. Additionally, we've recently just launched a patient application, so if the patient has already gone home but their consent was not obtained, whether it's for the prior authorization or for the REMS form, it's a drug that requires a special release for the patient to understand that they're taking a drug that has been fast tracked through clinical trials and they need to provide that release, they're able to do that anytime, anywhere, through our patient application. We tend to have this mantra, which is "Even a minute lost is an issue," so we don't ever want the speed to therapy to be slowed down by our prescribers not being able to use whatever device they have in front of them to be able to capture patient consent, or for the patient to be able to do so wherever they are as well. Once that prior authorization, all of the information has been collected and is able to be submitted, it then goes to the payer. The payer evaluates it. We endeavor to have all of the information captured, and as I mentioned earlier, we have a very high success rate with our approvals, but then the payer needs to approve the prior authorization before it can then be submitted to the specialty pharmacy. Now, sometimes we have some clients where, because our prior authorization process can happen very rapidly, sometimes in less than one business day, we do have some of our practices who simultaneously submit the prescription to the specialty pharmacy in hopes of, again, speeding the therapy as received by the patient as quickly as possible. Through our application, in addition to facilitating the prior authorization itself, we are able to become in essence a centralized dashboard for our clients where they're able to log in to our system and see the status of the prior authorization, and whereas today I've actually visited a number of our client sites and seen the way that they track things today. It might be on a whiteboard, it might be on sticky notes, it might be in a spreadsheet, so it really is a very manual paper-based process for a lot of our end users today. So when they get onto the ZappRx platform, and they have this centralized location that they can go to and understand exactly where the status is of that prior authorization, it's such a relief for them. They don't need to call the payer and find out what the status is. It's all right there in front of them at their fingertips in our application. What that translates to for the patient, I'm not directly quoting one of our users but I'm anecdotally sharing with you how much she appreciates being on our platform, is that she loves when she's able to call a patient and let them know that the prior authorization has been approved, that the prescription has been sent to the specialty pharmacy, and just the warmth that that provides her of being able to share with the patient that everything's been approved and they should be able to receive this drug quickly. I'm Libby Webb, and I'm aware that I'm rare.